I love myself a good food tour! 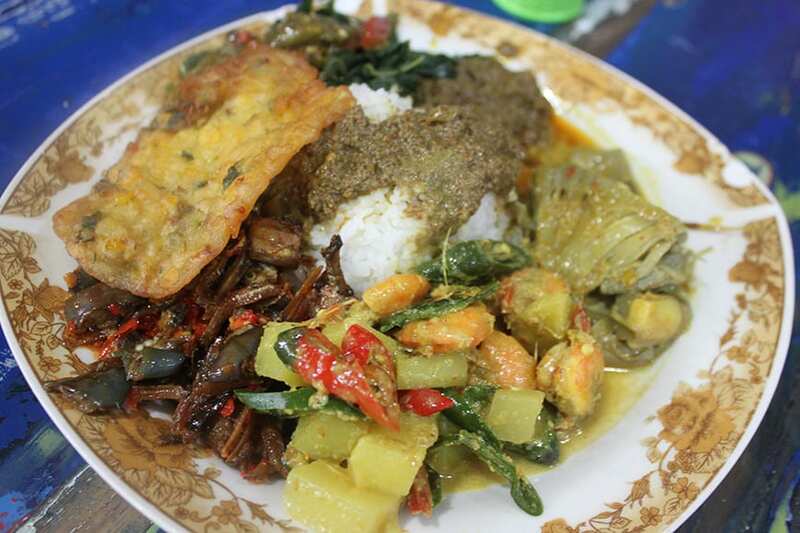 I teamed up with Tripadvisor again to book this excursion with Good Indonesian Food. I also recommend this fish market tour and cooking class, another experience available on Tripadvisor, if you are looking for more foodie experiences in Bali. I love using Tripadvisor to book things to do while I am traveling. I can always trust that the tour companies that they work with will deliver and it's always an easy and seamless experience. Click here to see exactly how to book an experience on Tripadvisor. On to the Seminyak food tour. There was no one else booked for this food tour that day and my boyfriend had come down with a case of Bali Belly so it was just me on the tour! Ayu was my guide and she let me know that we would be sampling the best of locally sourced restaurants in Seminyak. 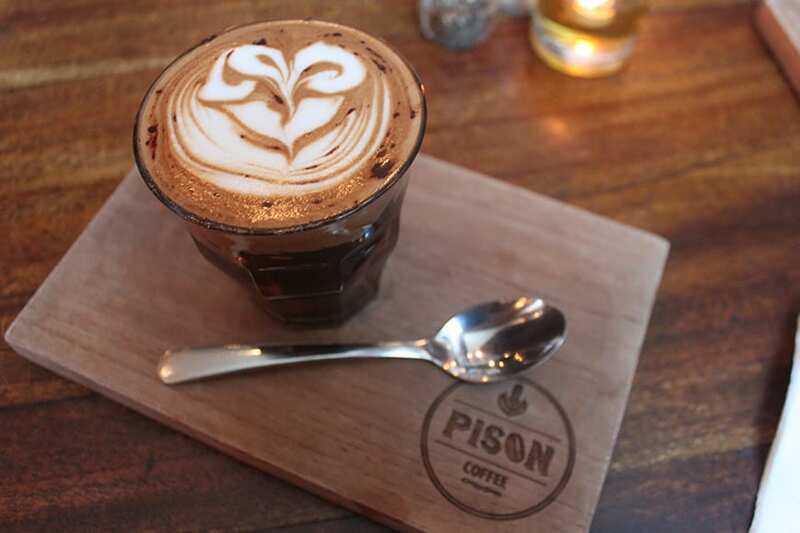 Our first stop was a coffee shop called Pison Coffee. It's definitely an up-scale hipster spot and the coffee was solid. 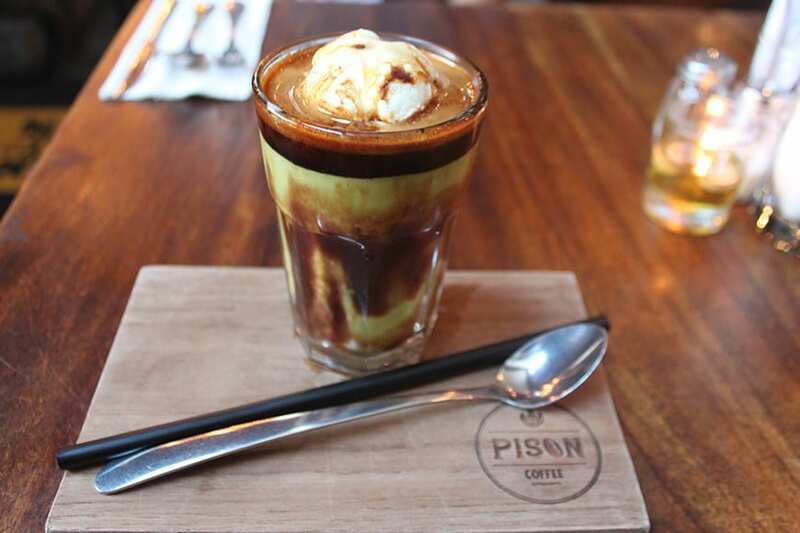 I was treated to an Avocado Coffee with Ice Cream which super rich and yummy. Ayu told me that in Bali, they don't really use avocado as we do in the states, as a savory dish. 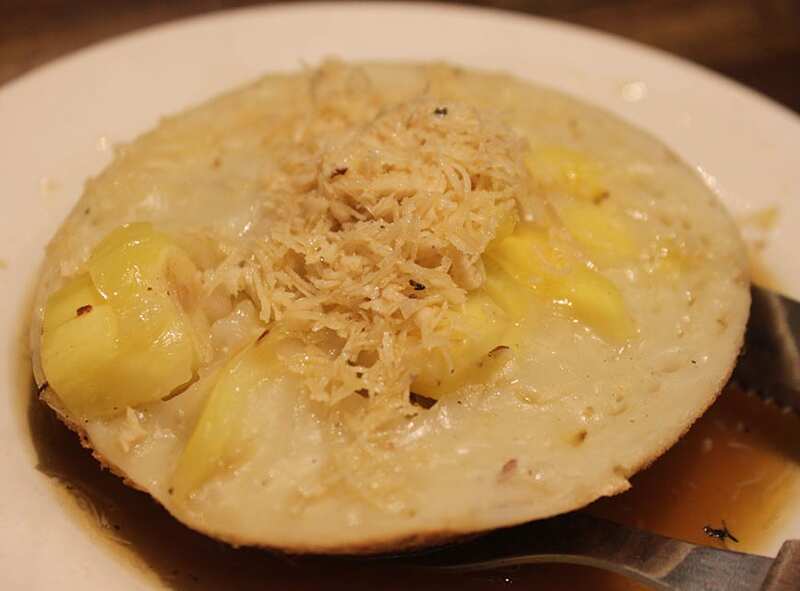 In Bali, avocado is treated more like a fruit and used in sweet dessert type dishes. Next up was a duck warung, I wasn't that excited for the fish cake dish because I am normally not very much into fish cake but I was in for a pleasant surprise! The fishcake here was deep fried into a hot crispy bite with a soft and chewy center. What really brought it together was the sweet dipping sauce and I also really enjoyed the bites of fresh cucumber and noodle on the side. 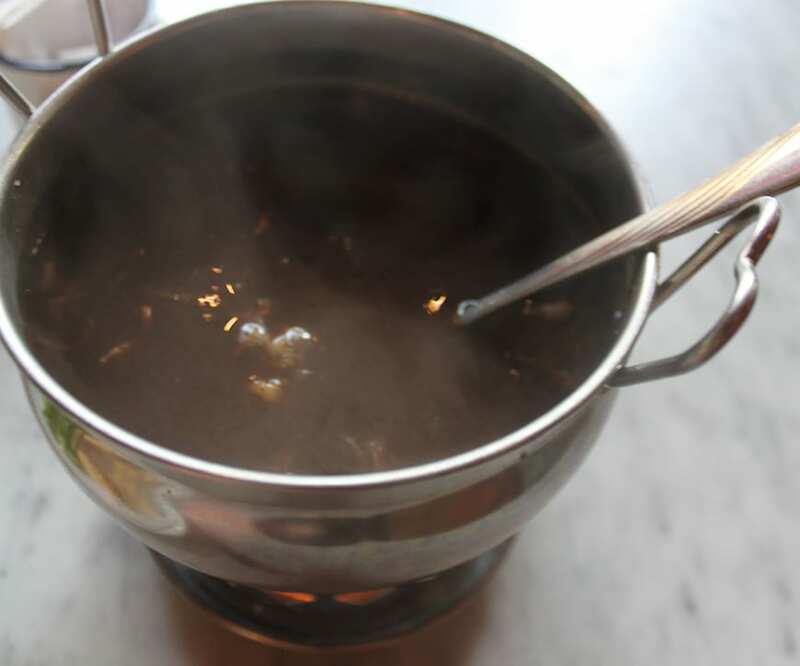 At the same restaurant, I also had to myself a traditional Balinese beef soup, perfect as a hangover cure or for the flu. 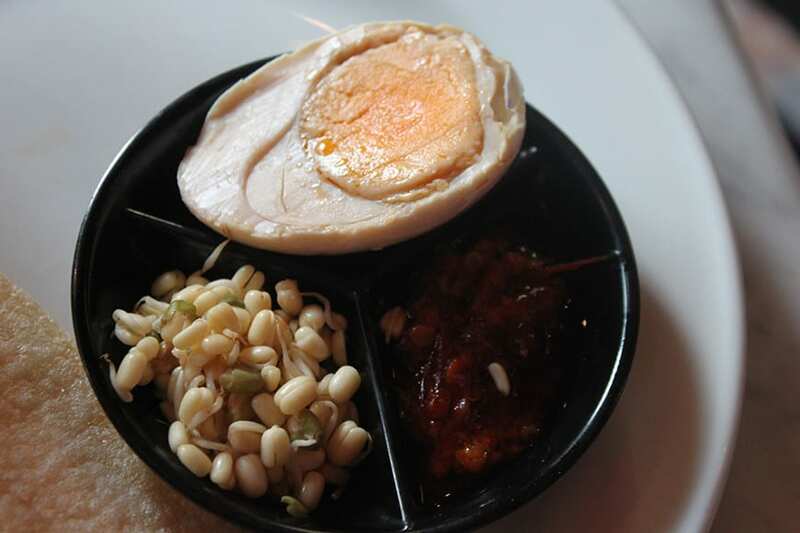 The beef soup came with a bunch of accompaniments that could be added to the soup, including some delicious Indonesian dipping sauces and sambals and a duck egg, yum! I absolutely loved that Ayu included some homestyle restaurants on the list of eateries that we visited. This next plate (a full dinner's worth btw!) 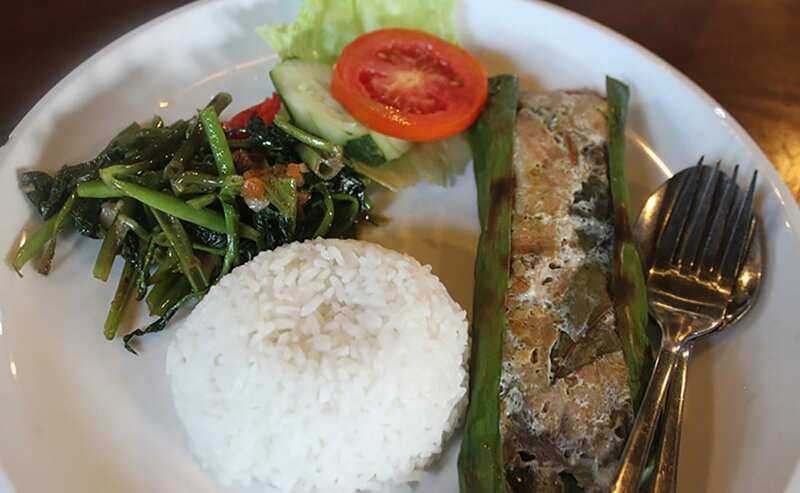 featured a steamed fresh fish, seasoned with ample amounts of lemongrass and Indonesian spices. On the walls were also photos of Seminyak, before it became such a tourist destination, it looks so different than before, like world's apart! 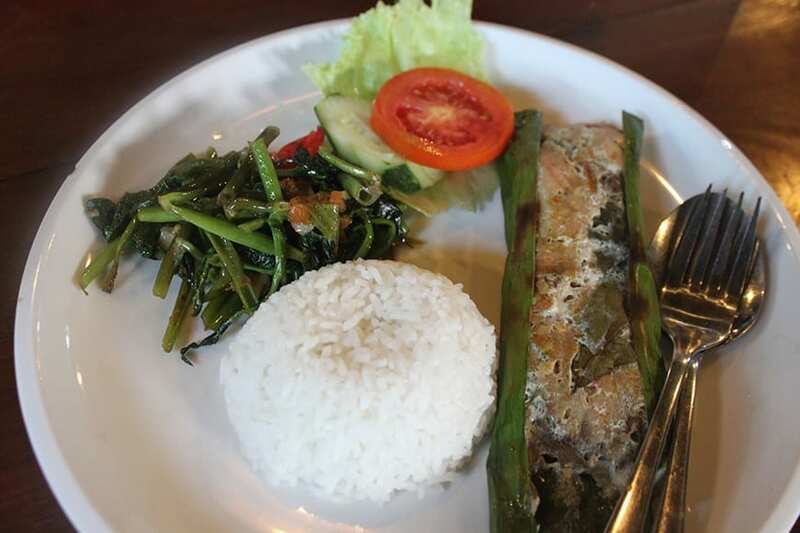 One thing I absolutely love about local food in Bali is that morning glory seemed to be one of the most commonly served vegetables with plates of food. It could eat plates of the morning glory alone! Our last stop before dessert was at a traditional Indonesian warung. It's kind of cafeteria style, all the food is already made, and you can just easily point at everything that you want to try out and it's all added to one plate. I love buffets and eating cafeteria style. If you came with a large group of people, the restaurant would just bring over all the plates over to the table for you to sample and you could just pay for what you ate. Some of the things I tried below were a bitter green, beef rendang, eggplant, and a jackfruit curry. Our last stop on the tour was for dessert, a kind of Balinese pancake which is cooked over fire in what looked like little cast iron molds. We tried two flavors, the more traditional jackfruit flavor below. 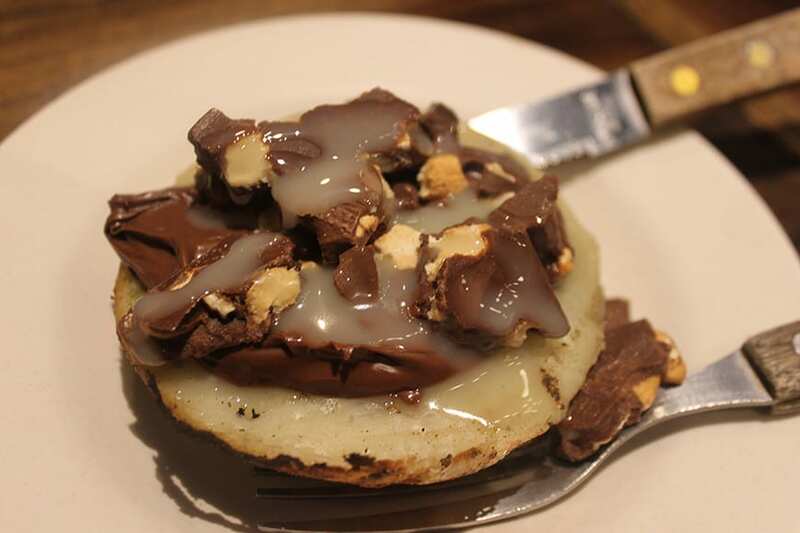 But my favorite was definitely the more modern take on this classic, covered in chocolate and nutella! Overall, it was the perfect tour of Bali, I wouldn't have found any of these places on my own, Seminyak is extremely commercialized! I also want to add that Ayu was a totally amazing tour guide. Also, she was so knowledgable about Bali Belly, which refers to the light food poisoning that tourists often get while visiting Bali. If you'll remember, my boyfriend stayed home because of it. She even jumped on messenger with a doctor friend and got recommendations for various medications that I should buy to take back home for him. After the tour, we stopped by the pharmacy and I stocked up on a bunch of meds to take home. Don't know what we would've done without her! 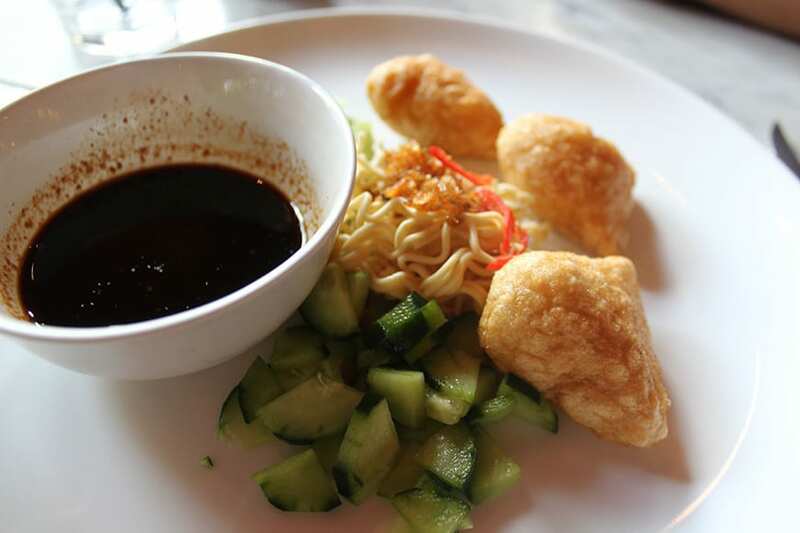 If you are looking for more delicious places to eat, make sure to check out our list of the best places to eat in Bali!